Learning how to play consistent winning poker isn't always so easy these days. So that is why I decided to put together this ultimate poker cheat sheet for 2019. And it is totally free, no signup, no email, no nothing. 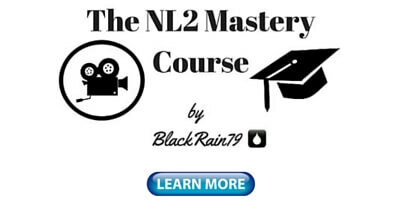 This guide below is going to give you everything that you need to know in order to start winning big right now at the lowest stakes online (NL2 or NL5) and live ($1/$2 or $2/$5). Let me be clear though that this guide is NOT going to turn you into the next Daniel Negreanu or some other high stakes pro overnight. This is instead a simple set of guidelines to get you beating the lowest limit games right now. If you follow everything in this guide and apply some patience as well (remember that results don't always come right away in poker), then I promise that your winnings will start improving dramatically in low stakes games. How can I be so sure? Because I have used these same strategies myself as a 10+ year online poker pro traveling the world and making money from my laptop. So here is your poker cheat sheet. All you have to do is right click and save. Now don't worry if some of this poker advice is still a bit confusing for you. Because all of the details of this poker cheat sheet will be explained step by step throughout this article. The first thing that you need to do is make sure that you are playing against poker fish. So you have to pick the right poker room to play at. Now there are countless options if you play online. But the #1 criteria that I always have is the number of fish (bad poker players). And the reason why is because the fish are how we make money in this game. Based on this criteria my #1 recommended poker room in 2019 is 888 poker. They consistently have the softest games that I have seen online for a site that also gets considerable traffic. There are many other options to play online poker as well though. And where you live will also depend on where you can play. For instance, 888 poker does not currently allow players from America or Australia. 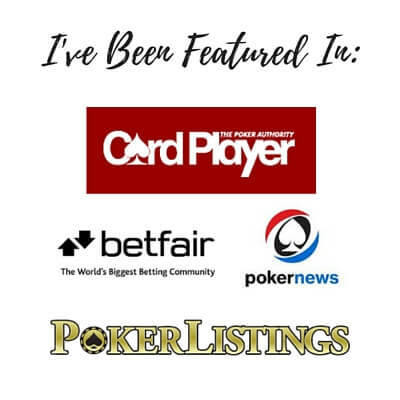 For my complete list of the best online poker rooms to play at in 2019 click here. The next thing that you need is the correct poker bankroll. This is the total amount of money that you have available to play poker with. I recommend having at least 30 buyins for any limit that you choose to play these days. 1 buyin = 100bb (big blinds). So for example, if you play at the lowest limit online, which is typically 1c/2c with a $2 buyin, then you should have around $60 in your account before you play this game. The reason why you need to have such a big bankroll is because of variance. "Variance" is the technical term that we use in poker to describe the natural ups and downs of the game. Many people are surprised to learn that you will often need to play as much as 100k hands before you can really know your true results in poker. As I said before, results don't come overnight in poker and sometimes you will lose for days or even weeks even though you are making all of the right decisions. This is why it is so extremely important that you are adequately bankrolled for the games that you are playing in. Also, before I get started with the poker strategy cheat sheet it is important that you know all of the poker hand rankings in Texas Holdem. This is because I will be discussing them frequently throughout this article. 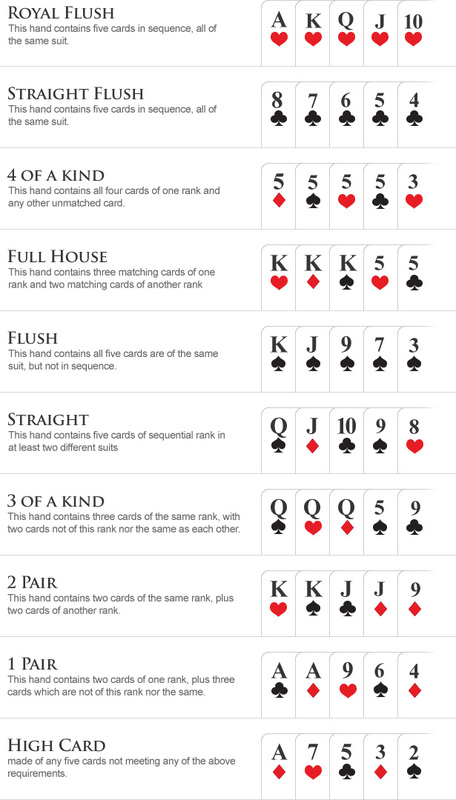 If you are brand new to the game of poker then make sure that you study and memorize the chart below. Alright, so now that we got that out of the way let's get to the real important part which is the Texas Holdem Starting Hands cheat sheet. I am basically going to give you the keys to the vault below to beat the lowest stakes games online or live. If you follow everything that I say, I can guarantee that you will win. How can I make such a bold claim? Because I have been a poker pro for 10+ years now and I have made over 6 figures playing in these games using the exact same strategy. I want to stress once again though that these strategies are for the very lowest stakes games only. You should absolutely NOT use these strategies in mid or high stakes poker games. My strategy is also very simplistic and will have you playing very tight. It is purposely meant to be that way. What Poker Starting Hands Should You Play? 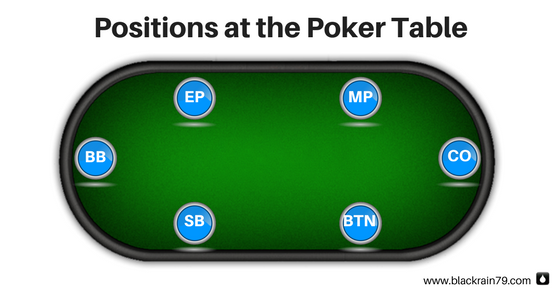 Here are the positions at the poker table in Texas Holdem. The action always starts before the flop in poker with EP and ends with the BB. After the flop, the action will always begin with the SB and flow clockwise to the BTN. RFI stands for "raise first in." This means that you are the first person to enter the pot. I recommend always raising when you are the first person to enter the pot. Why not limp (just call) though you might be asking? Because it is simply a proven fact that raising is more profitable than limping over the long run. Here are the results taken from my own database over very large sample sizes. They were published in my first book and they prove this point beyond a shadow of a doubt. Conclusion: If you like money always raise, never limp. So How Much Should You Raise It? You should raise it to 3 times the size of the big blind as a default strategy. For example, the big blind is $1. You should make it $3 to go. However, in low stakes live games or extremely loose online games you will often want to raise it more than 3x with your really good hands. After all, you don't want 5 callers when you have AA! One last quick point. If there are limpers before you get a chance to act, you should raise with all of the hands listed below, just add an extra big blind to your raise size for each limper. BB - You can't RFI from the BB. If it folds to you in the BB, then you win the pot (this is also called a "walk"). Special Note: If you play full ring (9 or 10 players at the table), then there will be 3 seats before EP which are often referred to as UTG or "under the gun." 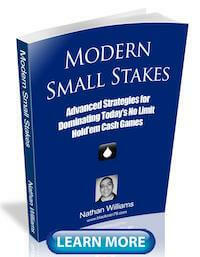 Enter your details below and I will send my free poker book to your email right now. Here are the poker starting hands you should call a preflop raise with from all positions. Here are the poker starting hands you should re-raise (3Bet) with from all positions. Here are the poker starting hands you should call a re-raise (3Bet) with from all positions. Here are the poker starting hands that you should re-re-raise (4Bet) with from all positions. 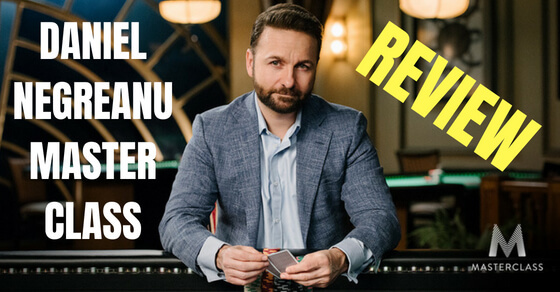 Alright, let's get to the real heart of this texas holdem poker cheat sheet now and talk about what to do after the flop. This is the most important part of all because what you do on the flop, turn and river is what will determine your results the most. Preflop poker is pretty straightforward and easy once you get the hang of the basics above. Postflop poker however is a lot more complex with many more moving parts. That is why postflop poker is where the biggest winners truly get ahead! When Should You Bet on the Flop in Texas Holdem? If you followed my advice above then you should be the preflop raiser the majority of the time heading to the flop. This means that you are in control of the pot. Always a good thing in poker. You should make a continuation bet (CBet) in most situations against a single opponent. You should bet around 60% of the pot. The pot has 10 cents in it on the flop. You should CBet 6 cents. I think you get the idea, most of them. This is why it is much better to focus on the flops that you should NOT make a CBet on when you have nothing. You want to avoid CBetting highly coordinated flops with all middle cards like these (when you have nothing) because the chances that you get called are just too high. The reason why is because there are so many hands that hit these boards in some way with a pair, draw, pair + draw and so on. The final note here is that if you are facing multiple opponents on the flop (two or more), then you need to have a much stronger hand to make a CBet. Top pair or a good draw (flush or straight) at least. When Should You Call or Raise on the Flop in Texas Holdem? What if you were the preflop caller though or somebody bets into you first on the flop? Well, there are a few situations where you should just call. You should fold everything else. Ok. So what about raising though? Raising also has it's place in a good flop strategy. You only want to do it with really strong hands though. I should also note that on the rare occasion you flop something ridiculously strong like a straight, flush, a full house, quads or better, then you should usually just call on the flop (slowplay). The turn is where things start to get really interesting in poker. I call the turn and the river the "big money streets" because this is where the bet sizes start to get significantly larger on average. That is why it is very important that you make smart decisions on the turn and river. Against weak/tight poker players (people who fold too much), you can also bluff sometimes if the turn comes with an Ace or a King. These are called "scare cards" and you can often take down an easy pot against a weak player with a simple bet. What if they bet into you on the turn though? If they bet into you on the turn, then you should call with hands like top pair and legit draws like an open ended straight draw or a flush draw. You definitely need to be folding everything else at this point though. I really cannot stress this point enough. Do not try to get fancy. Winning poker at these stakes is all about staying disciplined. Lastly, you should only raise on the turn with extremely strong hands (two pair or better). The strategy on the river is very similar to the turn. The bet sizes are often very large on this street and so you need to be extremely careful with your decision making once again. You should often only be betting again on the river for value. This means hands that are very likely to be the best hand, usually top pair or better. It is ok to bluff the river once in awhile against the weak/tight players but once again it needs to be done on the right river scare cards. Because that 2 on the river is not going to scare anyone from calling you down! If the river was an Ace or a King instead though, then this can be a good card to bluff against a weak/tight player who folds too much. I want to be very clear that you should never try to bluff the recreational poker players or even most of the regular players because they like to call too much at these stakes. With all that said, value betting is really the biggest key to your success at the lower limits. When you are playing against a bunch of players who like to call too much, making them pay when you have the best hand is how you crush them. So you should be consistently trying to get value out of them on the river with all of your strong hands like top pair or better, but also with hands like 2nd pair, 3rd pair and sometimes even worse. And remember that you do not need to make a big bet in these situations. In fact this is a very common mistake that people make, sizing their value bet too high. As I discuss in multiple examples in Modern Small Stakes, often a value bet size of 1/2 pot or even 1/3 pot is optimal versus their calling range. The final part of this texas holdem poker cheat sheet, which honestly is more important than anything else, is learning how to maintain your composure at the poker tables. Or in other words, stopping yourself from tilting. When you are playing at the lowest limits you are going to encounter lot's of wild and unpredictable players. They are going to hit their suckouts, their coolers and their bad beats. This is just a mathematical fact of the game. You can't change it. You can change how you react to it though. You always need to remember that the long run is the only thing that actually matters in poker. Once again, 100k+ hands. 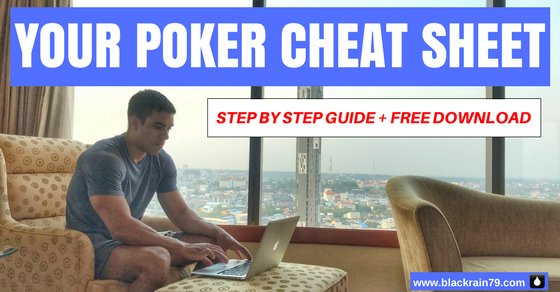 If you follow all of the advice given above in this poker cheat sheet, then I can pretty much guarantee you that you will win in the long run. But if you get frustrated and go on tilt every time your aces get cracked or they hit that flush on the river, then you can ruin your entire poker career. Believe me, I have seen it happen to so many people over the years. Even really talented players who may have been great one day if they could just learn to control their emotions a bit better. It extremely important that you learn how to take these natural ups and downs of the game in stride or at the very least learn how to quit when you feel the frustration building. You've worked too hard for this. Don't allow yourself to go on tilt and throw away all of your profits because of a few bad beats. The poker strategy in this article and the texas holdem cheat sheet are extremely basic and they were meant to be so. The reason why is because if you follow the advice that I outlined above in the lowest stakes games, then you will turn a profit over the long term, guaranteed. And that's the whole point. 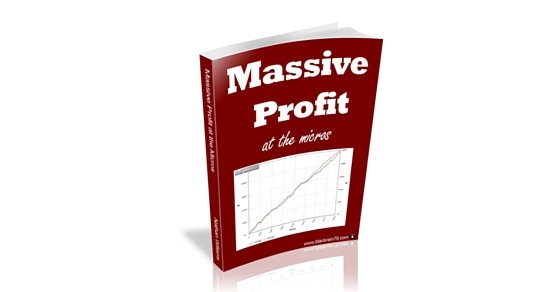 To get you turning a profit right now, no matter how unimpressive the results are. Winning is simply winning. Some might complain that the advice above will have you playing too tight and it will be "boring." Well, I am sorry to be the bearer of bad news but winning poker was never meant to be fun or exciting all the time! It requires discipline and dedication to the fundamentals no matter what. This is what winners do. And this is how I made a career out of this game and travel the world. Now of course there is a lot more deeper level strategy that you need to know especially if you want to truly crush these stakes and move up to the higher limits. 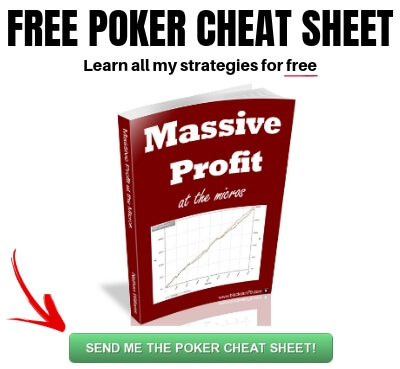 So that is why I have actually put together a free poker strategy guide with my complete strategy on how I have crushed the micro stakes for the higher winnings in online poker history. Let me know your thoughts on this poker cheat sheet in the comments below! What poker strategies do you use in Texas Hold'em poker games in 2019? Lastly, if you found this poker cheat sheet helpful do me a quick favor and hit that "Like" or "Tweet" button below. Thanks! Many thanks for your continued articles. I think the most overlooked point in many of these though is how to react in face of a re-raise, or big river bet. I think mostly it's correct to fold but obviously some opponents will begin to take advantage of this if you fold too often, or bluff you off the river if you check and don't 3 barrel. I know it's always case/opponent specific, but some pointers in this regard would be very helpful. Are there any HUD stats you consider with regards to these? Could be an idea for your next article! Thanks DaFrench glad I could help! I agree that the situations you describe are difficult. They are very player dependent as well. I didn't want to get into that too much in this article though because I wrote it for low stakes players in order to get them winning right now. And that means keeping everything as simple as possible. Also, I don't think you will find many opponents at the stakes discussed in this article who are capable of finding imbalances in your river play and then exploiting that correctly as well. 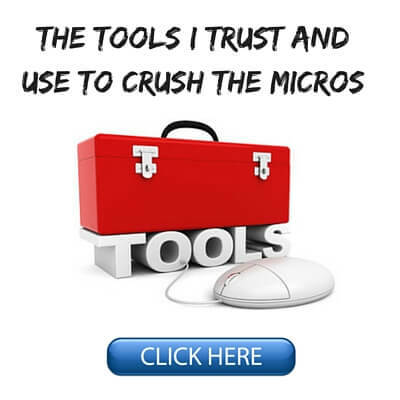 But I do cover this in more advanced articles on this site and in even greater detail in my books, Modern Small Stakes and The Micro Stakes Playbook in particular. Well, I wouldn't say they're exactly finding imbalances in river play per se. It's more a case of if you're aggressing OOP and they've called your flop and turn bets, you get to the river and suddenly you check, then generally they will have a stab at it whether they have it or not, and it will generally be expensive - like 2/3 to 3/4 pot, which leaves us in tricky spots if you have say just TPTK, a lot of the time they have it as well like they've fluked a 2 pair or their draw hit on the river card, which is likely why we checked in the first place hoping for a cheap SD, but a good percentage of the time they also have air, busted draws, etc. I'd say maybe 2/3 of time they do actually have it and 1/3 time they don't. SO for me it's about settling on a sound basis for making that decision on whether to pay the piper or not. Ok Nathan,I get it. Strict fundamentals first. Its amazing hkw easy it ia to deviate even a little bit and bad habits creep in and whammo lol. Excellent cheatsheet. Exactly what i was looking for. Today I am starting my own bankroll challenge @ 888 and will follow these instructions to a T. If anyone wants to follow my progress I go by the name ReneEmmell! Thanks Rene! And all the best in your bankroll challenge as well. Are you blogging about it anywhere if people want to follow your progress? Hello there! My name is Sabin, and i Thank you from Romania for this wonderful article...this is the summary that I needed. I'm wondering still...is there a limit for a raising for wich I should call? I guess this is my biggest problem. For example, on the flop, if i have top pair and someone else raises before me 2-3 * pot or goes all in...should I call? Thanks Sabin glad I could help! Usually with top pair on the flop you don't want the pot to get too big. And you certainly don't want to go all-in because somebody will often have a better hand. So I would suggest just calling a bet with your top pair on the flop. If a raising war is going on though, then you should often fold. @Sabin I am also from Romania .. I never heard of a Romanian name called "Sabin" ... are you a man or a woman ? I play on bovada,u can't table select or use a HUD, your opinion on playing on bovada?also I play 50nl and100 nl,is your cheat sheet that much difference as we move away from the micros,I understand the player's are much better,tha tha for all your hard work,your information is awesome. Hi 123shank thanks for the kind words! This cheat sheet is a beginner level article written for NL2 and NL5 players, not NL50 or NL100. I have many more advanced articles on this site meant for higher stakes and of course my books also cover much more advanced strategy as well. Bovada is one of the poker rooms that I recommend since the games are typically pretty good and they are USA friendly. Their use of anonymous tables and the inability to table select changes things a bit though. I have covered how to play against unknowns before here on my blog, in my books and in my Youtube videos. There will be more content on that in the future as well. Me again. Just to give you some feedback as I applied the sheet to my session tonight. Stuck to it to a T and I have to say the results were really positive for a first try. Made me realize I'd been playing way too many hands before, hands like suited Ax's that I would always grab a look at a flop with, and they're not on your sheet so I folded them all, and behold the improvement. I guess I was getting myself into complicated spots by trying to be too tricky. Obviously was just one session but I'll keep you posted as I do a load more. Just a couple of questions that came up while using the sheet: How are we treating limpers before us? Do we carry on as if they weren't there and go ahead as if we are raising first in? It's what I generally did which seemed to work ok, adding an extra blind onto my initial raise, just had to be careful to steer clear of those trappy EP limp-shoves, cos we know what that means! But should we also maybe tighten the range slightly with a prior limper? Also, do we have no 3bet flatting range? are we just sticking to 4bet or out? Glad you found this poker cheat sheet helpful. It was meant to be incredibly basic for extremely low stakes players to get them winning right now. Ya I forgot to mention limpers in this article but what you are doing is exactly what I would recommend. Raise the same range as suggested above and add a big blind to the raise size. Same thing with the 3Bet flatting range, just forgot to cover it in this article. My recommendation would be tight once again, 99+, AQ and AK. I am actually going to edit both of these into the article right now. Thanks for pointing them out. Nathan would you change these ranges (calling and 3 betting) when we're on the blinds? No I wouldn't change them. This is a beginner level article to get people who are struggling at the very lowest stakes to finally start winning right now. So therefore, simplicity is key. about your opinion where to play with the most amount of fishes in 2018 you recomended 888 poker and PartyPoker. 888Poker room has to big of a RAKE and almost no RAKEback so i dont see how microstakes grinders can survive there despite soft game. PartyPoker is regheavy ( 9regs/1 fish) + more and more people saying there are a lot of BOTS and the RAKE is big on micros as well. I am looking forward for your opinoin. Most of the major poker sites these days are comparable in terms of rake and rakeback. 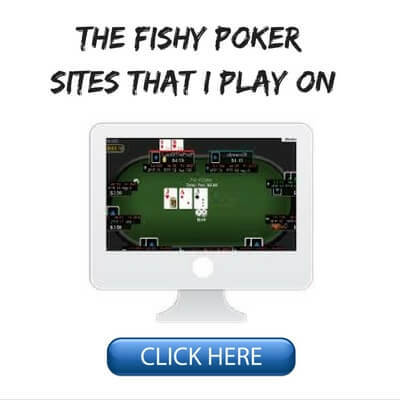 However, you should always do your homework before signing up for any poker site and check for yourself. I know its a small variance but QTs is my favorite hand but you don't play it at all. Is it just too weak against other ranges? These ranges above are just rough guides. If you add a hand like QTs into the mix it is totally fine. I certainly play this hand in many situations myself. 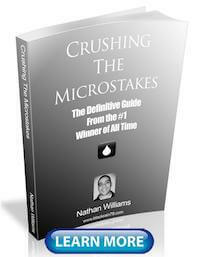 Hi Nathan and all readers! Great article, lays the basics of ABC Poker. sitting at a table full of loose passive players. Preflop they play is limp, if any rise happens they call. You cant steal their blinds because they call with any 2 piece of paper. On the flop they will call if they have any pair or draw. My question is :how would you change your prefop game? Does it worth to raise with small pairs or better just limp with them? Does it worth to play small suited connectors at all against short stack loose passive opponent? How would you change your preflop starting hands in that situation? Thanks glad this article helped! Shortstack poker is a completely different game. I was assuming full stacks throughout this article since this is how the vast majority of online games (and even most live) are. I am by no means a shortstack expert so I wouldn't want to comment on this hypothetical game. Hi Nathan, have loved watching all of your videos and reading your blog posts for some time now and this one is another example of great content that so many of us can learn from. The only thing that I think you didn't talk about that I would love to get some insight on is your Big Blind defending range against open raises from different positions. I try to play a mostly 3Bet or fold strategy from the BB but will just call to close the action with a lot of suited broadways which I find to have a fair few reverse implied odds when I flop Top Pair with a worse kicker than my opponents. Is there any chance you'd be able to make a short post or even a YouTube video about your optimum nl2 big blind stategy? Thanks for the kind words Nic! My goal in this article was to keep everything as simple as possible. A cheat sheet isn't going to be very useful if it is super complex. So stuff like big blind defending ranges I cover in other articles and in my books. I've some doubts. This raise hands in preflop are more tight that the hands you talk in your CTM book. Should be that tight or it was just a way to put it even more simple to a sheet? In BB we can be the first to raise, if their was a SB complete, or some limps. What is the range that we should raise in BB against a complete or against one or more limps? Thanks! This is a beginner level article and therefore the ranges are extremely simple and very tight. I agree with you, Nathan: it's critical to master the basics before trying to get creative. The Milwaukee Braves had a pitcher back in the day named Bob Buhl. He commented that "young pitchers today want to learn the tricks of the trade before they've learned the trade". It's true in poker today. Tight play won't get you miraculous results, but as a rule it will keep you out of trouble and will get you steady returns, kind of the difference between what you earn on municipal bonds and what you can get out of junk bonds. And every top pro has gone down in flames with creative play and a refusal to believe that the other guy really has them beat. I've seen this happen to Negreanu more times than I can count. Best not to raise up more demons than you can lay down. First of all thank you for your articles and for your books - you are a great inspiration. I have a question about how to proceed in a 3bet pot when you are the caller. Often I find myself with middle pair or an overpair facing a big bet. I am struggling a bit on how to proceed. Any insights would be highly appreciated. I have a question.. Whats happen if there are limpers at BB? Which it will be our hands to RFI are? That is a more advanced situation that depends on the players involved. I talk about this a lot in my books. I don't view limpers as any different than an RFI situation because limpers are essentially dead money to me. So I just raise my entire normal range and then add an extra big blind for each limper as discussed in this article. This poker cheat sheet just work for NL2-5 or I can use it too for nl10-25? Or for example, should I use this strategy with fish and play a balanced loose agressive strategy vs reg on nl10-25? This poker cheat sheet is good for all low limit games that have some weak regs and fish. If you happen to be in a game with all strong regs (I wouldn't recommend playing in a game like this in the first place), then you should definitely make some balance adjustments. Sorry but I don't do coaching anymore. Best place to live in Thailand totally depends on what you want. Most poker players are in Bangkok, Chiang Mai or Phuket. Hi Nathan, quick q about the BB. You say 'You can't RFI from the BB' so don't give any hands for it, but what if there are limpers? Is it as simple as use the Btn range for PFRs if it is the SB who limped, or the SB range for PFRs if anyone else limped, or should we be checking everything? Oops ya, I probably should have mentioned that situation since it does happen a fair bit at the lower stakes especially. Yes, I will raise quite a bit. It depends how many limpers there are though. Also, I probably don't raise quite a loose as I would from the button since we will still have to play the hand OOP when called. Hope that makes sense.